The first style we have to show you is this stunning new jacket. The J3278 Fishtail Parka is a classic style with the Fred Perry heritage Laurel Leaf branding. This is a great weight as its not too heavy but can be worn layered up for those cold winter nights. 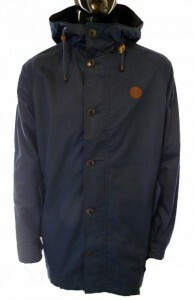 Priced at £175.00, this is a quality jacket and you can even save yourself a further 10% with code “FREDBLOG“. 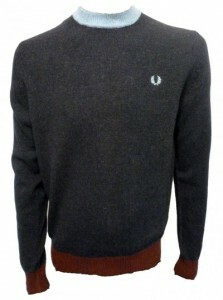 The next Fred Perry Autumn Winter selection we have for you is this fantastic new knitwear style. The K3208 Contrast Ringer Crew Knitwear is constructed in a quality, soft lambswool fabric and features stunning contrast colours and simple Fred Perry branding. 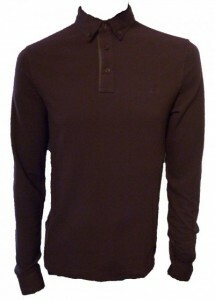 Just arrived, this jumper is priced at £85.00 and is worth every penny. Why not save a few more pennies with our discount code too. The final piece we have showcased is this quality long sleeve polo shirt from the Fred Perry Autumn Winter 2013 collection. The M1363 Long Sleeve Gingham Trim Polo Shirt is a stunning new style and we think this will fly out. In a quality 100% cotton pique fabric and subtle gingham trim detailing, priced at £70.00 it will also not break the bank. As we mentioned earlier in this post, we are offering you all a fantastic 10% Discount on all new Fred Perry Autumn Winter 2013 Arrivals. Simply enter “FREDBLOG” at the checkout of Apacheonline.co.uk to receive a fantastic 10% Off your shopping. So thanks for reading this post and dont forget to use the discount code we have kindly provided you with. Dont delay get saving today! Thanks for your comment Billy. We hope you enjoy the fantastic 10% discount on the new Fred Perry ranges! We will look out for your order. Cheers Mate!